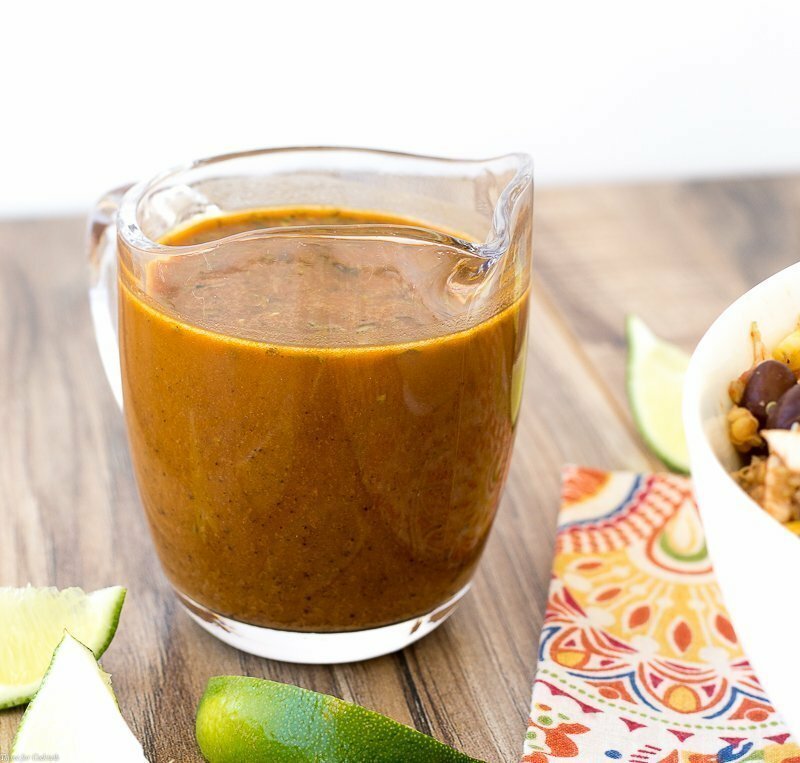 Take your next salad south of the border with this rich, smoky Mole Vinaigrette. 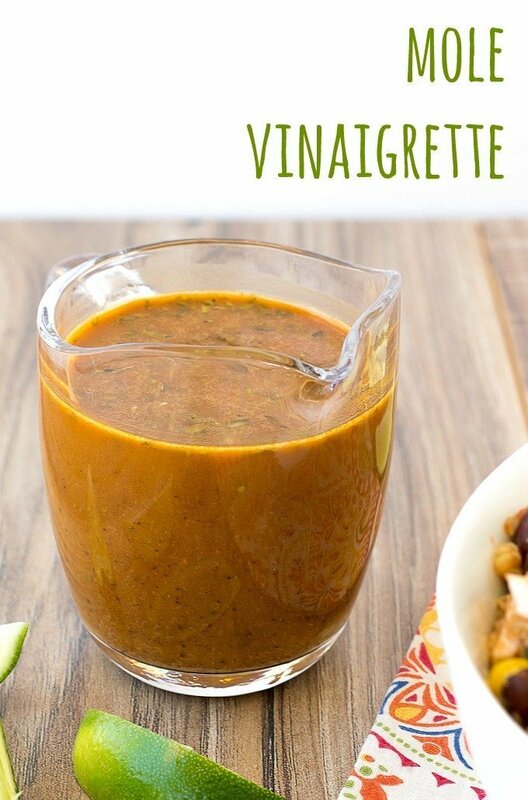 Try it as a marinade for chicken or in a healthy quinoa salad. It probably doesn’t help that I’ve been binge watching Weeds for the last few days; basically the couch is singing a siren song. 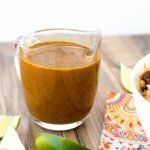 But I did mange to muster the energy to prep salad ingredients for this week, including grilled chicken and this Mole Vinaigrette. It is a great pairing with my Southwest Chicken Quinoa Salad. 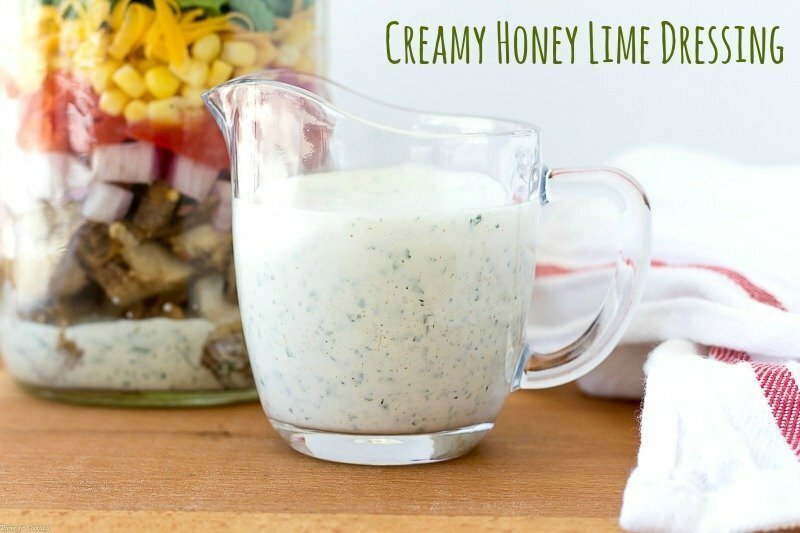 You should also try my Creamy Honey Lime Dressing, it’s another delicious southwest inspired concoction your summer salad will thank you for. Slowly drizzle oil while whisking mixture. I think this sounds just delicious. 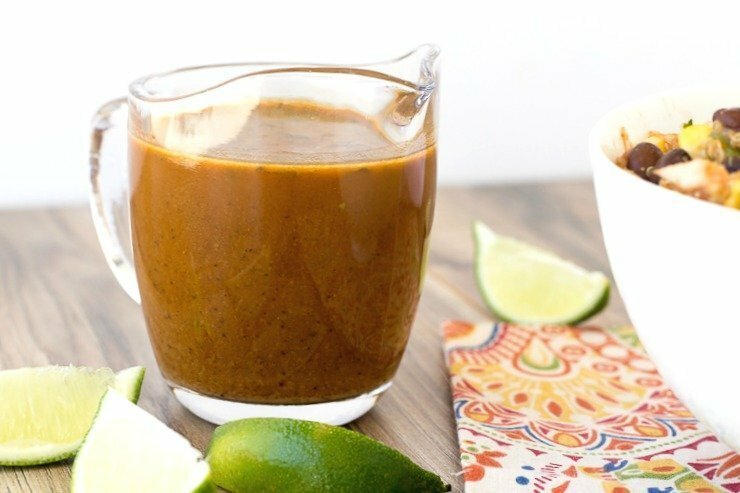 I ran across your recipe yesterday on Facebook and just had to come back and see how you made it. Can’t wait to give this one a try! Gracias Debra! We have been on a big salad kick the last few weeks!